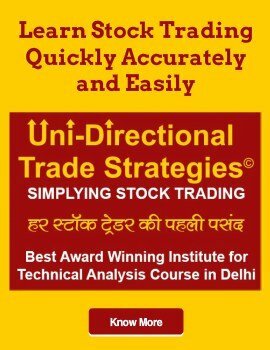 Top 5 Institue of Stock Market Courses is a comprehensive list of leading stock market training institutes in India. Every institute in the list offers a great way to learn about stock market investing. Investing in the stock market is definitely a good way to earn money in a short time. If you do not want to save money in the form of fixed deposit or recurring deposit etc, then investing in stocks is a quick way. However, investing in the stock market without seeking any professional help can be risky. You may either need professional help or some amount of training. Alternatively, stock market training open doors to vast employment opportunities. This has resulted in a growing number of stock market training facilitators. Hence, choosing the right options has turned out to be very challenging. With this article, we aim to help you find an ideal match for you. The two popular stock market courses that students are eager to enroll are the stock market course for beginners and technical analysis. Students with a diverse background can take up these course in quest of rapid rise employment competition. With intent to these factors, we’ve comprehended a list. 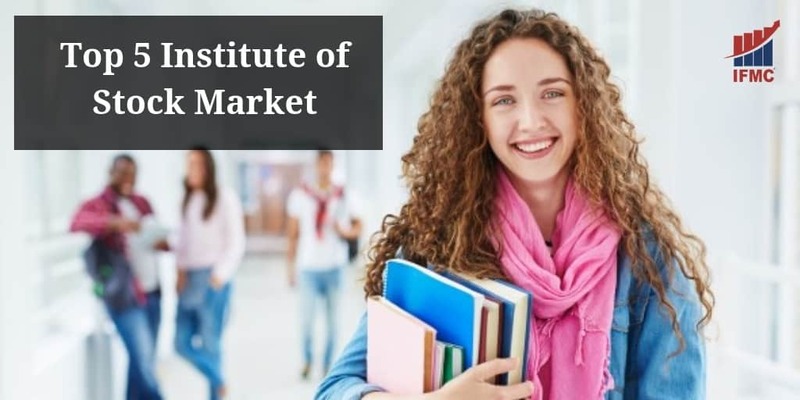 Here a look at this comprehensive list of a top institute of stock market courses in India. IFMC Institute Lajpat Nagar offers the best share market classes in India. The institute provides a wide range of course, including, NSE/NISM/NCFM certification. Some of the popular courses are the stock market course for traders, equity derivatives, option strategies. Additionally, working professionals can join online stock trading classes – to study at ease of home. IFMC Institute Vaishali is a pre-eminent share market institute Ghaziabad. The institute was founded way back in 2008. It offers quality training to prepare students for industry-specific jobs. Hence, various programs are made available at different levels to ensure the maximum amount of exposure to students. The stock market courses are designed in such a way that they are industry-centric when compared to NSE and BSE course module. IFMC Institue Laxmi Nagar is known as a premier Stock Trading Institue in Delhi. 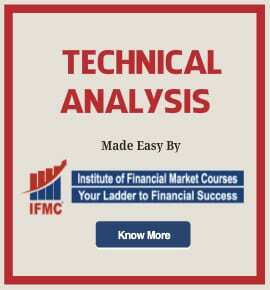 Besides, technical analysis course is quintessential for students pursuing a career in the stock market. Being a certified institute, IFMC as always given a lot of focus on delivering quality training. It has some of the best industry expert and advanced infrastructure to train the students. The atmosphere at the premises is quite different from regular type-classroom. The students pursuing program get hands-on-experience on live market. Located in North Delhi, IFMC Institute is quite popular for its stock trading classes. The programs are designed in a way to provide maximum exposure to the students. 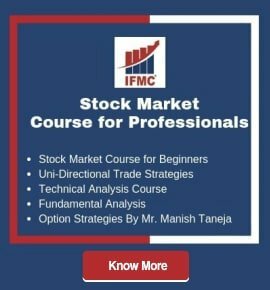 Some of the popular courses offered by IFMC institute are stock market certification, NSE module technical analysis, fundamental analysis, option strategies, uni-directional trade strategies, commodity trading etc. You’ll also be able to sharpen your trading skills while amid your peers through various live trading strategies sessions. Stock market course curriculum includes practical exposure to live market trading. They also organize placement endeavours to ensure all their students get a fair chance to get lucrative offers and are well-placed. Institute for Financial Market Courses (IFMC) is an award-winning institute for financial market education. It is a unit of Bajaj Capital Service (BCS), a diversified investment management company. IFMC institute aims to bridge the skill gap in the primary market. The institute is committed to producing professionals for the upcoming sector. In addition, to narrow down the gap between industry demand and supply. The promoters of the Institute brings vast experience of 22 years in the financial market. Every program is designed in a way to prepare individuals for a competitive employment opportunity. Moreover, programs are industry integrated and recognized by corporates. IFMC Institute is a pioneer in offering short-term job oriented courses. While the main emphases are on live market practicals. Some of the popular courses are the stock market course for beginners, stock marketing course for professionals, technical analysis course, fundamental analysis course, option strategies, currency market, research analyst, and more. Also, the institute offers a certificate course in NSE, NISM, and NCFM. Furthermore, IFMC Institue revolutionary course- Uni-Directional Trade Strategies and Result Analysis Trade Model is the best-selling online stock market course. These strategies are implemented in over 100 countries worldwide. Hope your search for a top institute for the stock market in India is over. These training institutes will bring knowledge and financial soundness through proper instruction. We hope you like the list of top 5 Institute for the stock market. If you’ve any question, ask in the comment section below.